Follow the White Bunny: Tweet Pillow Pattern in the shop now! 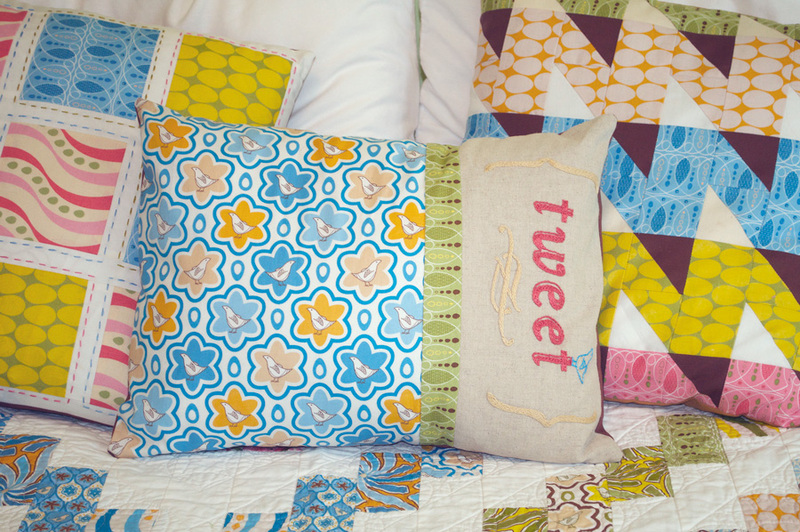 Tweet Pillow Pattern in the shop now! I'm very excited about this new Tweet Pillow pattern; it's an embroidery pattern and sewing pattern all in one! As you probably know this pillow is the result of my collaboration with the very awesome Thomas Knauer. Once the embroidery bit is done (colour and stitch instructions are included in the pattern) , the pillow can be quickly whipped up. The sweet fabric you see in the photo is Thomas' new line of fabric called Pear Tree. You can purchase the Tweet Pillow Pattern in my shop (and in Thomas' shop too). Pear Tree fabric is available in quilt shops and fabric stores. I love this pattern and have already purchased mine!